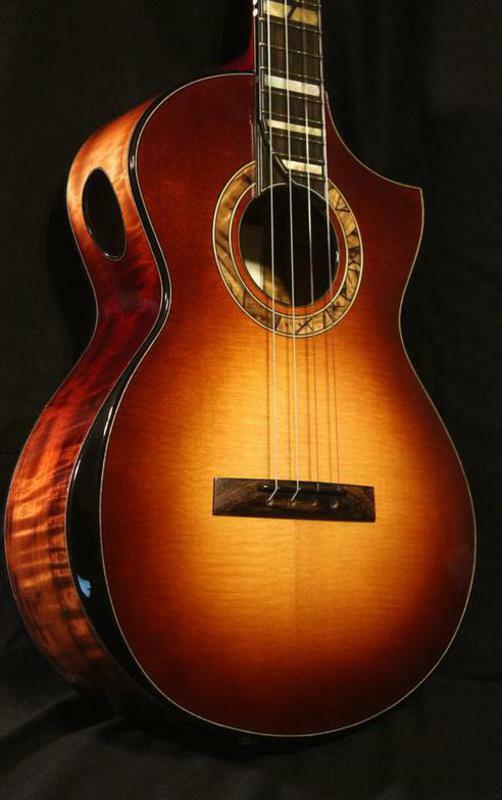 Each instrument receives the finest Master grade tonewoods available. Only the stiffest, lightest tops are used with each being individually assessed, thicknessed, braced, carved and voiced for piano like responsiveness, a long sustain that is deep and clear in tone, that plays evenly over the entire fingerboard. Please refer to my options page for extended details on tonewoods, material choice, building appointments and all their many options. 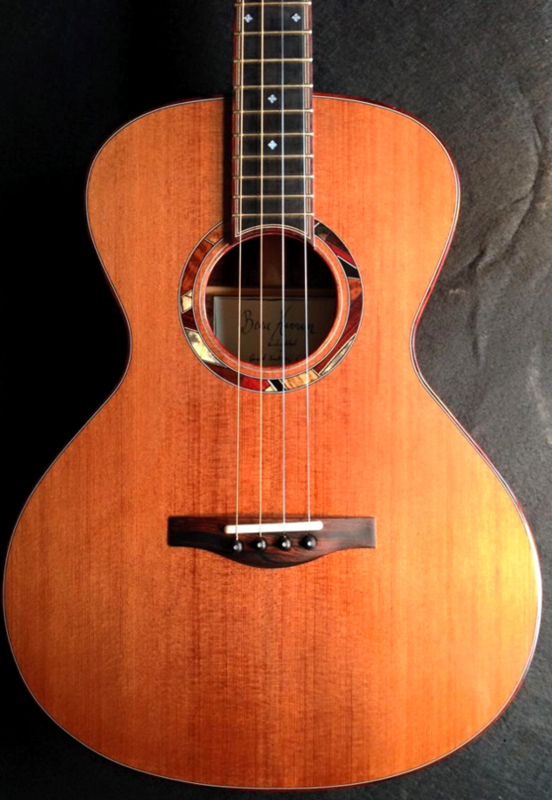 Below is a small list of standard features that can be expected to be found as standard on any of my ukuleles. ~ Top : Master grade in any species. Individually voiced. ~ Rosette : One of a kind mosaic in wood or shell ring. ~ Back/Sides : Most tonewood.​ Some exotics incur upcharge. ~ Bindings: Ebony, Cocobolo, Rosewood, Curly Maple, or Koa throughout. ~ Purflings mitered with binding throughout (Top, back, sides, headstock & fingerboard (side and top). 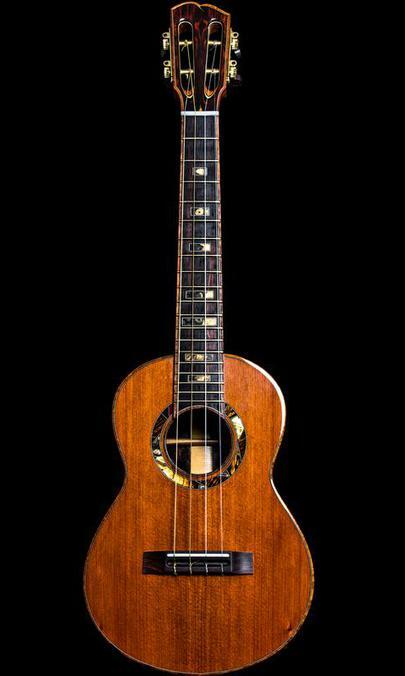 ~ Neck: Honduran mahogany or Spanish cedar with carbon fiber reinforcement. 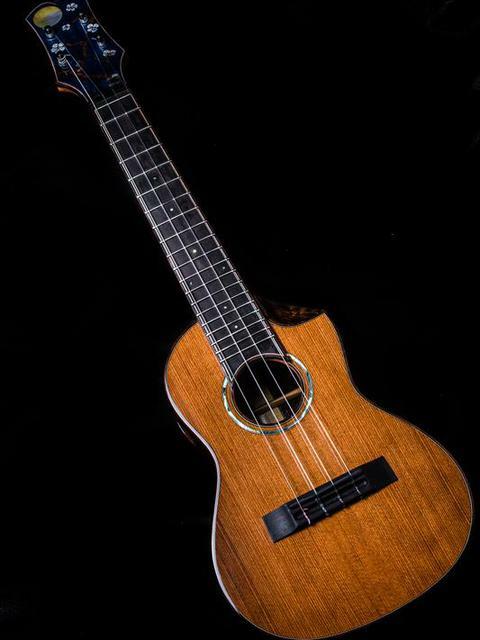 ~ Fingerboard : Rosewood, African Blackwood, or Ebony. ~ Fingerboard width at 12th fret: 1 3/4" (44mm)- Custom widths no extra charge. ~ Nut width: 1 3/8" (36mm)- Custom widths is no extra charge. ~ Headstock : Bound with signature 'fading purfling'. ~ Headstock: faced front and back with wood to suit build. 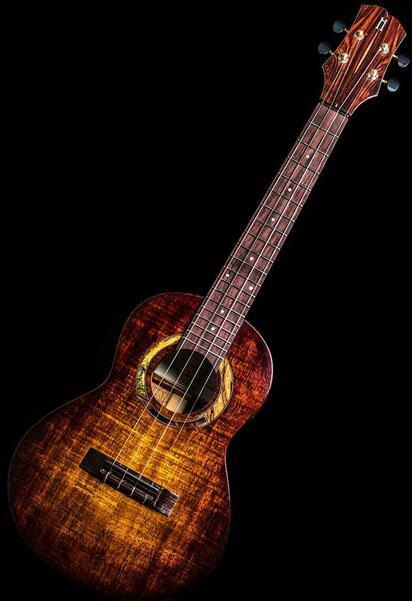 ~ Finish: Highest instrument grade nitrocellulose lacquer in gloss or satin with sunbursts an upgrade. 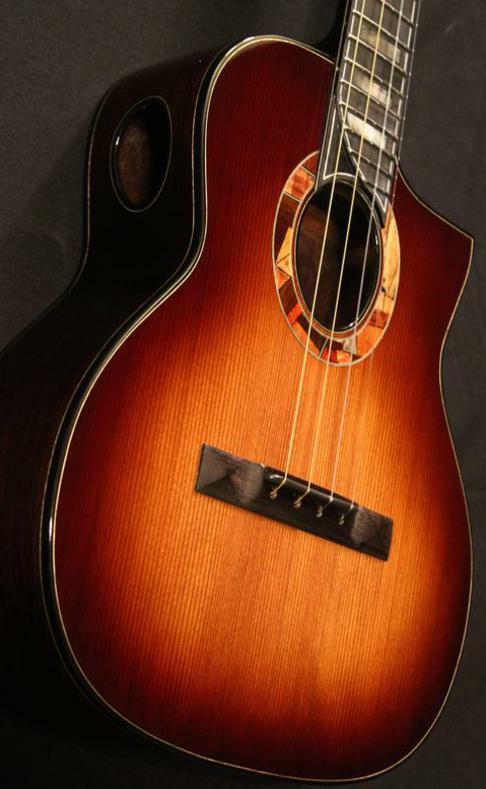 No longer offered but good pics of my hand rubbed sunburst.